When Xample (aka Gavin Harris) and Lomax (aka Nick Hill) came together to form the duo Loadstar, their first release under their new name, 2010’s “Link To The Past,” became Drum & Bass Arena‘s Best Single Of The Year. The style of bass synth they created even spawned a ton of imitators and elevated their status as leaders in the genre. Their production output has continued at a phenomenal pace, adding chart successes like “Space Between,” “Berlin,” and their latest, “Bomber,” to an amazing catalog. We checked in with Harris and Hill to gather some production notes on how they keep things sounding so awesome. Devotees of the D&B scene will surely recognize the names Craggz and Parallel. Over the past 15 years, the two have jointly built a fanatic following, formed their own label (Product Recordings), and landed releases with major drum & bass imprints such as Ram. The pair's first collaborative tune of the year, "Musik," appeared on Hospital’s summer-themed compilation—the aptly titled Summer Drum & Bass 2012—and saw the producers elevated to a new level with a soulful, yet intense roller. With its momentum behind them, the duo just released a new EP, Product Placement, which, across four new tracks, finds them displaying their talents with a couple of proven dancefloor formulas while also leaving enough room to expand on the more experimental paths first explored on 2010's Turn The Page LP. Last year we checked in with Craggz & Parallel for a Weekend Weapons and considering their recent flurry of new work, now seemed like the perfect time for an updated version. Any time two elite producers take a stab at taking music in another direction, there's call for celebration. Courtesy of the label formed by festival-rocking genre benders The Glitch Mob, Glass Air presents the first release from newly formed duo Nasty Ways. Nasty Ways consists of the talented Eprom alongside The Glitch Mob's own Boreta. It's August already. Summer is more than half way over and so is 2012 for that matter. To make up for it, we're giving you a Beatport Live like never before. Today's (August 3rd) session features the magnificent minds of world-renowned DJs Dubfire and Carlo Lio. It's sure to be one of our biggest webcasts yet, as we turn up the techno starting at 17:00 GMT (12 PM EST / 9 AM PST). Don't miss out. Global warming is getting the better of us out here in Denver, but we're not afraid to turn up the heat even more. We welcome Denver native Narky Stares to today's (Friday, August 3rd) Beatport Live, where she'll grace us with a mix that combines everything from the furthest reaches of house to the furthest reaches of bass music. We'll ignite the webcast starting at 3pm MST (5pm EST / 22:00 GMT), so be sure to lock it in. If you haven't checked out any of our archived episodes of Beatport Live, head over to Ustream.tv/beatport/videos to see the complete list. 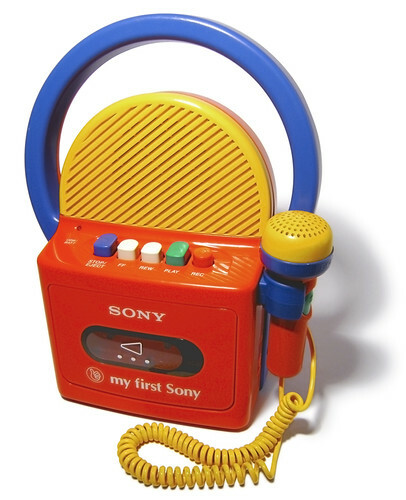 Even at the age of five you were probably well aware of the difference between the audio quality of your My First Sony Cassette-Corder and the sounds rumbling the living room from your dad's hi-fi. Well, Carl Craig, Mala, and Midland have a few thoughts on the topic too, as the guys behind Croatia's Dimensions Festival chat with them on the importance of proper soundsystems. Check out the video up top. Breaks, drum & bass, future jungle, electro house, and maybe even a bit of dubstep—the trio of Aquasky has done it all. Since 1995, the guys have been pushing and evolving sounds, even starting two of their own imprints, Passenger and its sub-label 777. They recently released a preview of their upcoming album, Bring The Ruckus, which features collaborations with 601, MadRush, and Black & Blunt… and that's just the sampler. With the album due this fall, we thought it necessary to check in with the lads for some insight into their current favorite tracks. Check out their picks below. Everybody loves French Fries! Tasty morsels, crisped to perfection… Of course, I'm talking about the music of Paris producer and head of ClekClekBoom Recordings. As the world of electronic music pushes boundaries, French Fries is one such producer who strays from the 4/4 kick, bringing in all manner of odd syncopation and regional drum rhythms felt all over the world. His playfulness and command of these rhythms has flexed soundsystems worldwide with tracks like "Champagne" and "Yo Vogue." Now, adding another remix to his resume, Mr. Fries tackles a track on the new release from the equally French DJ group Birdy Nam Nam, this one appearing on Skrillex's imprint OWSLA.